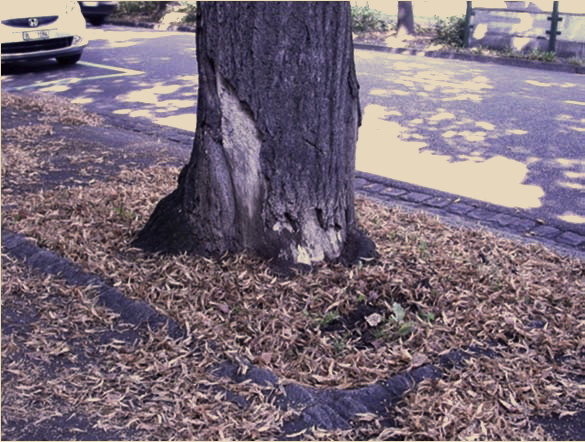 The most important parameters for urban tree health monitoring are crown transparency, crown condition, trunk damage caused by freezing and traffic, single branch dieback, and parasite attacks. Since 1984, the same set of parameters is used during the annual monitoring between mid of July and mid of August. 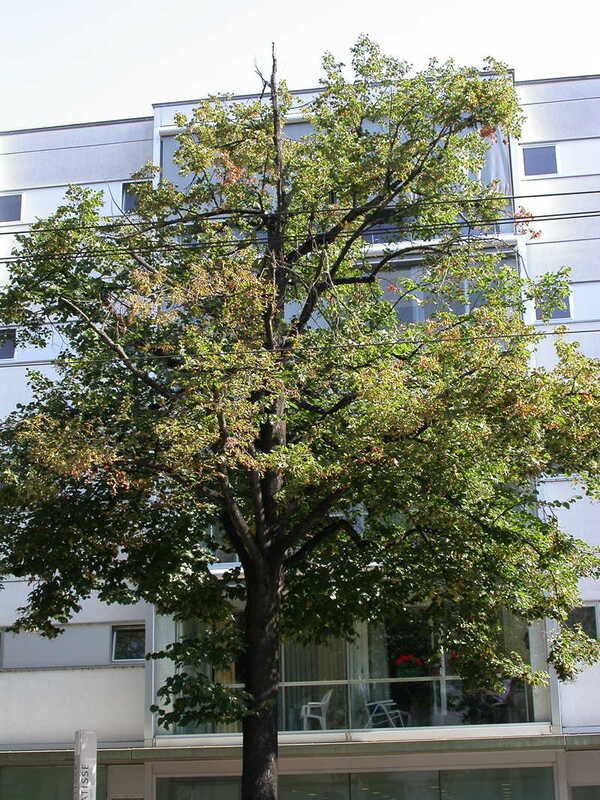 branches (centre), and a horse chestnut with heavy salt damage in Klingentalstrasse (right). 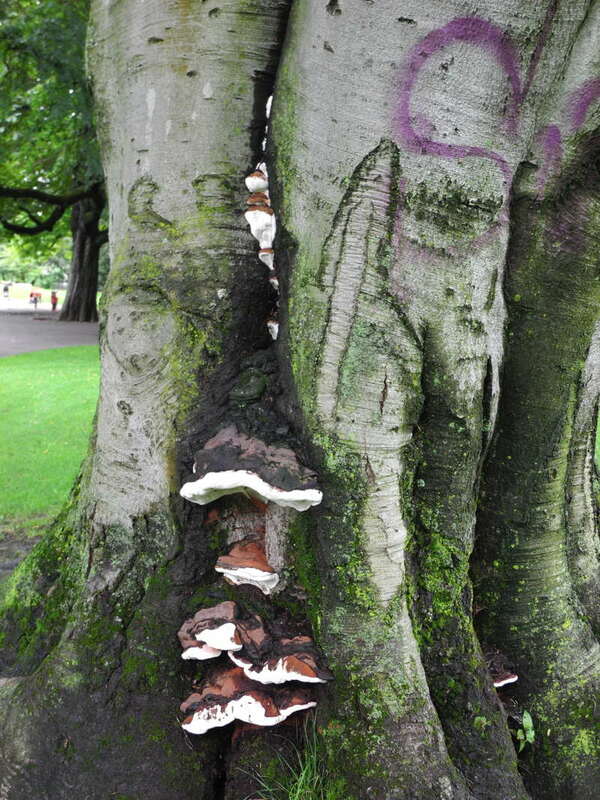 Stem rot on beech tree in urban park (left) and trunk injuries due to parking cars (right). 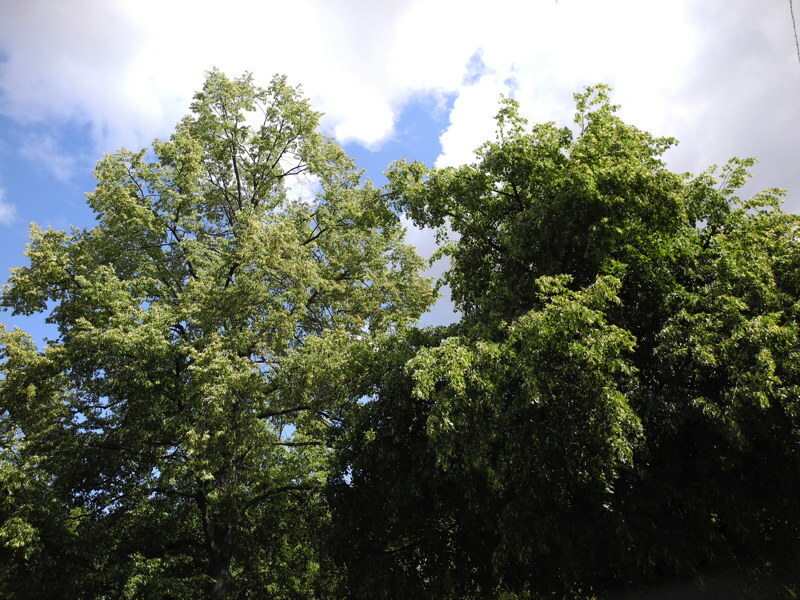 In 2015, 640 trees were monitored. 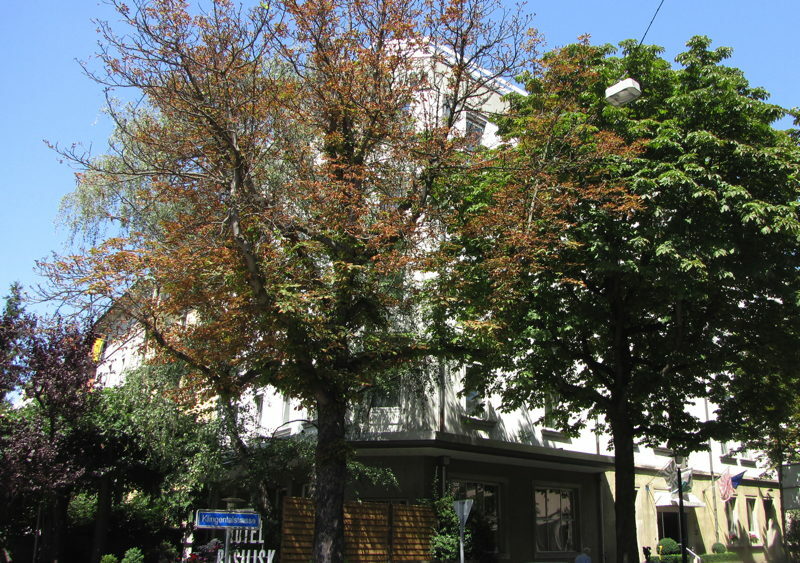 In contrast to the trends in forest trees, there are two peaks of increased crown transparency for urban trees: During the 80ies and after the year 2000. But there is no explanation for these trends. while total damage decreased since 1984.